Figure 9. Winch system for use with the Pettersson bifilar current measuring device. It is a hand-crank winch designed for use in less than 100-meters water depth. 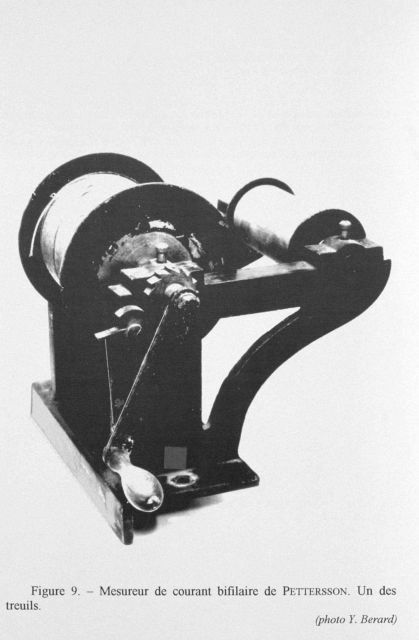 Prince Albert I of Monaco personally used such a winch for observations on Gorringe Bank in 1904.